This month's Home with House episode is another attempt at reflecting my current moods. If you've been reading my blog for the last few weeks, you'll know that I've bought my first condo and will be moving to my new place in a few weeks. So this is my last podcast mix created from this location. I've created this mix as a sort of farewell to the place where I started the Home with House podcast back in 2007. The environment and atmosphere of where a DJ mixes often have an impact on the mood, track selection and overall feel of the resulting mix. So in that sense I am sad to be leaving the place where the podcast began. But at the same time I am very excited to experience my new destination and mixing location. 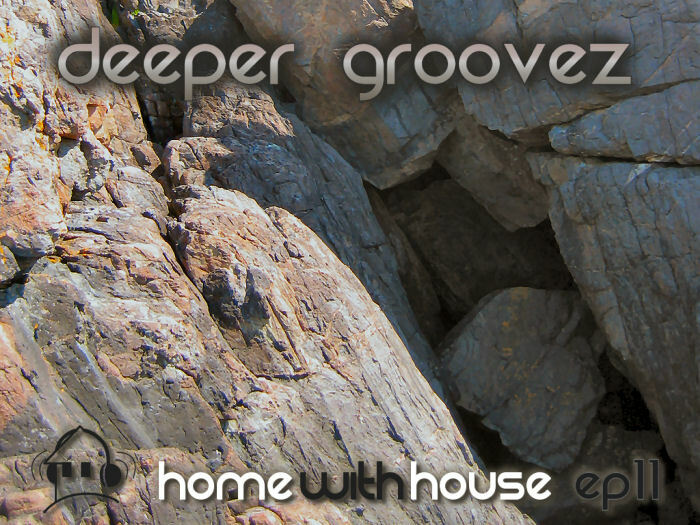 You'll notice that this mix starts off deep and contemplative with some progressive house, and continuously builds in anticipation as I get excited about moving to my new place. It begins on a deeper note, but ends with a bang. I'm also delighted to be mixing a remix of an Orbital track with this episode. Orbital has been a long time favourite of mine, but this is the first time I've mixed one of their tracks with this podcast. 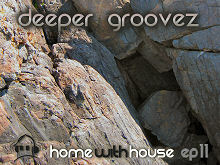 I hope you enjoy episode 11, it's called "Deeper Groovez". Hi, I'm JP and I'm from Mexico, this is the first time that I see your web page and i liked so much, specially the mixes, i heared yesterday and i think that you're great Dj, here in Mexico sounds other styles that i dont like, because i prefer deep no banda. JAJAJA. Well i think thats all. Sorry for my english, I'm still learning. Greetings from Irapuato, Gto. Mexico. Hi JP. Thanks for the comments and for listening to my mixes. I'm glad you enjoy them :). good luck with your new place^^! oh really?? glad to hear that^^! now i'm so relieved!